Notman Pasture Seeds is a family run business that supports the agricultural industry in Australia improve productivity and efficiency through enhanced growth in the paddock. Established by real farmers Peter & Elaine Notman, Notman Pasture Seeds has grown from a small business operating out of a tractor shed on the family farm to a large organisation working with hundreds of farmers annually to improve their pasture and crop potentials. A key aspect of the Notman Pasture Seeds culture is the continued focus on research through replicated pasture trials and making that data relevant to the bottom line of farmers. 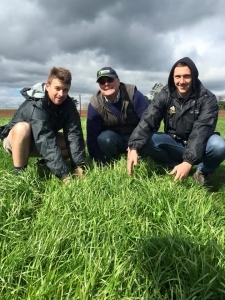 Pasture trials are continually monitored across Victoria and New South Wales to ensure the best advice is being given by Peter and his team at all times.